This art activity comes from Lucky To Be In First. Students measure, cut, and paste squares in descending order. 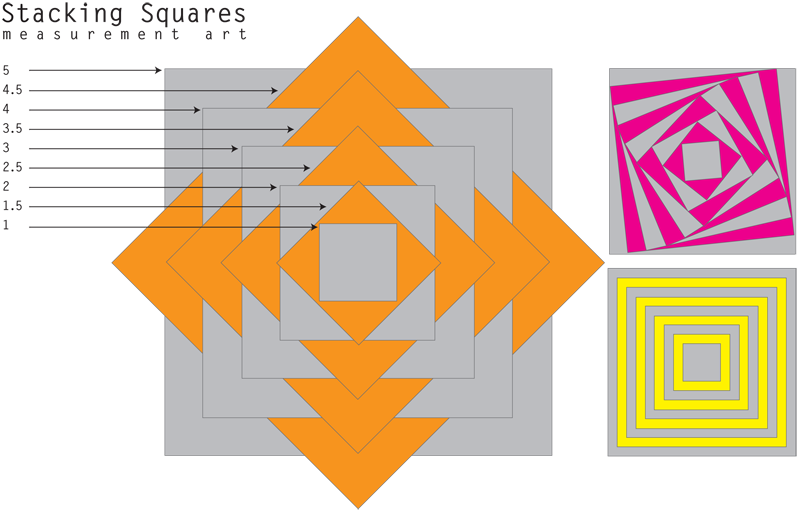 Each square is 1/2 an inch smaller than the preceding square. Also check out Spiral Triangles! Note: You could also have children figure out the area and perimeter of each square on a separate sheet of paper.